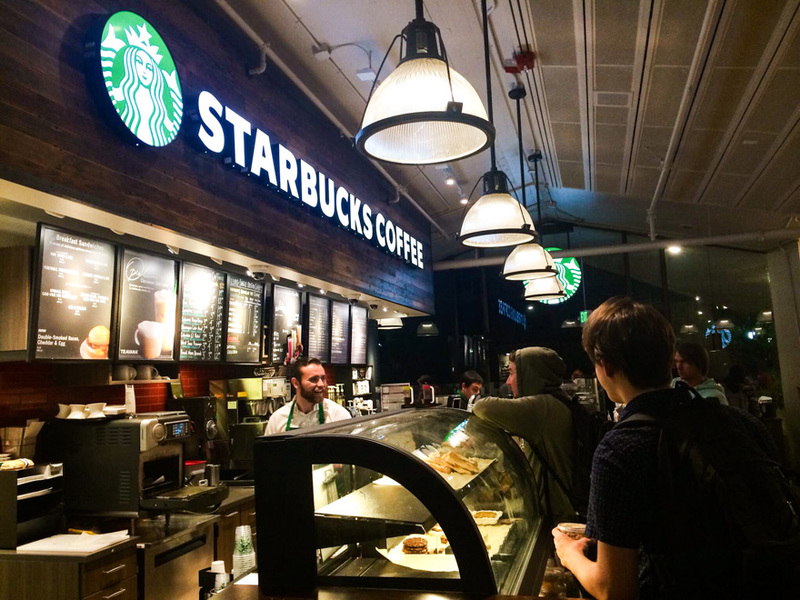 Starbucks has grown to become a near-ubiquitous feature on the American urban landscape since its initial expansion in the late 1980s, because of the space it provides for people, not because of its coffee. 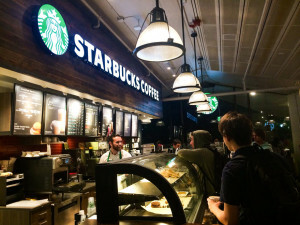 Starbucks pioneered what it calls the ‘third place’, a place less formal than a workplace and more intimate than a person’s home, opening coffeehouses in the Italian tradition in the United States. Over the past week, I’ve had the chance to learn more about two new public spaces in our area. Starbucks’ creation of a ‘third place’ set the tone for many emulators. 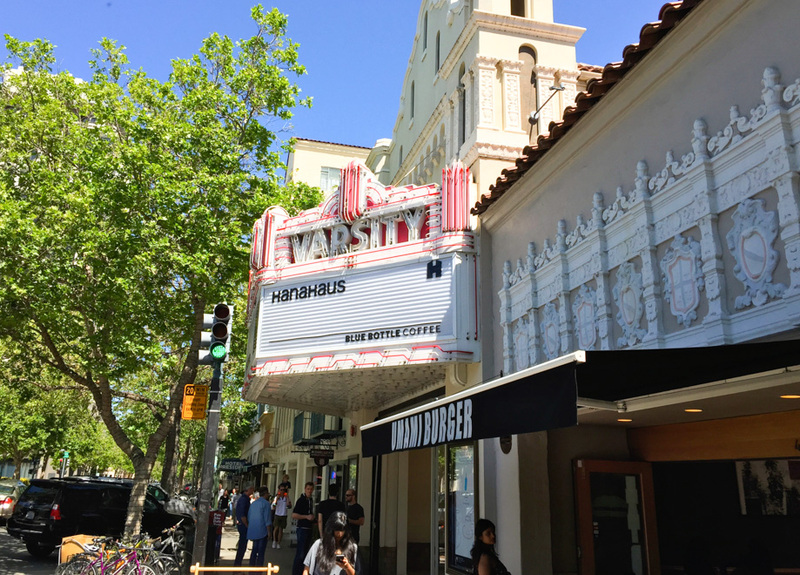 On March 17, while Stanford students were preoccupied with final exams for Winter Quarter, HanaHaus, a new coffee shop and collaborative workspace opened up in the historic New Varsity Theater building on University Avenue. Set in a 15,000 square-foot space comprising the mission-styled courtyard of the old theater and the building’s interior, HanaHaus occupies the former home of the Borders bookstore which closed in 2011. It is difficult to describe what kind of a place HanaHaus is using straightforward categories. 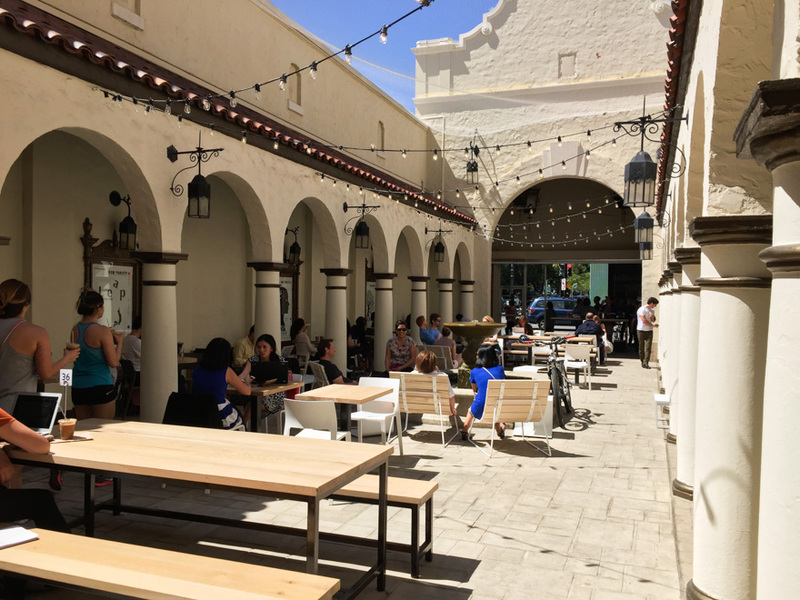 On one hand, HanaHaus is a cafe, with food and beverages supplied by the Blue Bottle Coffee Company and a picturesque courtyard. Yet affixed to the cafe is a large workspace which resembles the basement of the Huang Engineering Center on the Stanford campus. HanaHaus charges clients by the hour for usage of its open work space and private meeting rooms. The relationship between these two halves may not be immediately clear to customers of either, but when I visited, HanaHaus had the foresight to station a friendly greeter at the main entrance to explain how this unorthodox arrangement worked. Generally speaking, HanaHaus appears to have good prospects for doing well down the road. The food and drinks compete well with other cafes in the area–though the menu is fairly limited in breadth–and it seems reasonable that many people in the vicinity of Palo Alto would be willing to pay for flexible office space on an hourly basis, particularly at a location as central as that of HanaHaus. That being said, I think that there are a few hitches that HanaHaus will need to overcome in order to be successful in the long-run. First, their website does not paint the picture well of what a customer will experience at HanaHaus. HanaHaus articulates its three main ideas as Work, Learn, Play–and inexplicably connects these three concepts to a red square, a yellow triangle and a blue circle, respectively. The website describes the “Work” component well, but it certainly falls short on the other two categories. HanaHaus claims that it will be hosting events regularly where “entrepreneurs can come together to meet, socialize, share ideas and connect with experts.” This sounds like a really cool idea! But when you follow the link to find out more about these events, the Eventbrite page shows zero past or upcoming events. In terms of “Play,” the website gives no further explanation than “There are plenty of fun things to do at HanaHaus,” accompanied by a picture of a foosball table. Based on my visit, their picture selection was apt; the single foosball table they had in a corner was the only obviously fun thing to do at HanaHaus. Beyond the website, there are some issues on the ground which call into question the viability of HanaHaus. While the convenient access of an affixed cafe is nice for a work station, the associated kitchen noises certainly are not. During my visit, the clanging of the dishes and the whirring of the coffee machines were loud to the point where I had to actively focus even to hear the ambient music playing overhead. This issue may well deter clients who need to minimize distraction and focus on getting their work done. Additionally, HanaHaus will need to make sure that they get people to book their private meeting rooms, for which they charge substantially more than the general access fee. The general access fee is rather inexpensive, so it is hard to see HanaHaus making much of a profit from their workspace unless they can bring in the greater revenue streams which come from the private rooms. I grant that it was a Sunday, but when I was there the open workspace was pretty busy but not a single private room was in use. 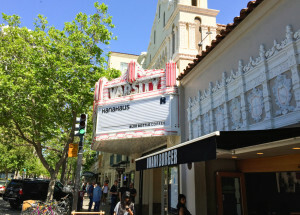 With these issues taken care of, however, HanaHaus may well become a permanent fixture on the downtown Palo Alto setting. Breather, a startup with roots in Canada which launched 15 months ago in New York, takes a dramatically different approach to the ‘third place’ from HanaHaus. Where HanaHaus seeks to foster collaborative work by bringing people together to a common workplace, Breather aims to fulfill a different market niche by allowing users to rent private rooms in central urban locations on an hourly (or even sub-hourly) basis. 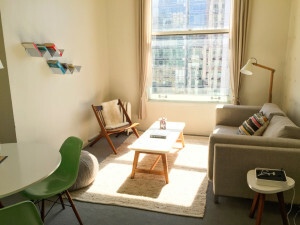 Operating under the tagline “peace and quiet, on demand,” Breather believes that often times people want a place which is not in public but where they can meet others or get work done on their own. 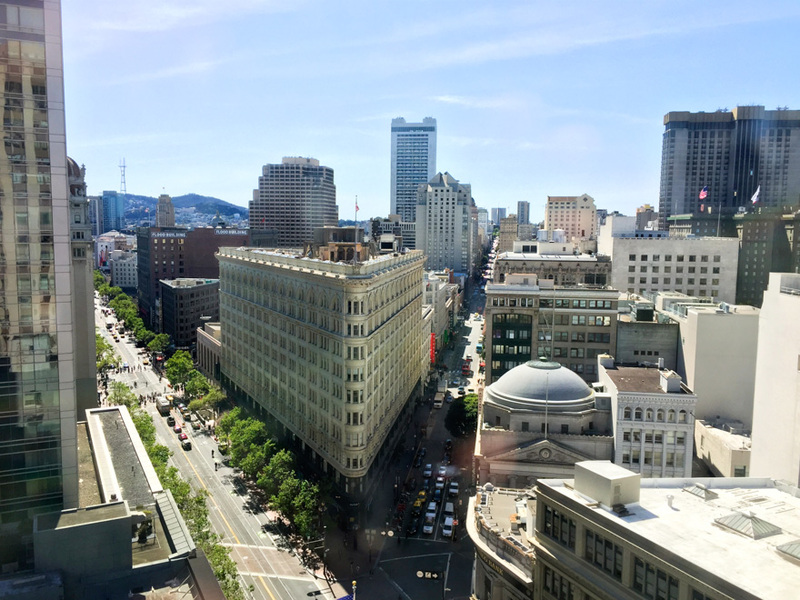 I was invited by Breather to sample a couple of their 16 San Francisco locations. Armed with free and fast Wi-Fi, comfortable furniture, and people to clean the locations after each use, Breather rooms accomplish their mission of providing a quiet, well, ‘breather’ from the pandemonium of the urban streets. Yet given their privacy, Breather locations may well accomplish missions other than those for which they were intended; nefarious minds might think of many uses for a totally private space booked by the hour, “on demand.” Such total privacy may also make Breather rooms less attractive for certain types of seemingly wholesome meetings as well, as the guest of the meeting who may never have met the host cannot rely on the security of the public gaze. Yet Julien Smith, the CEO of Breather, assures me that although almost every investor and critic has raised similar concerns, they are more imagined than real. Smith claims that illicit activities have not caused much issue for his company, and that the bigger problem he is facing at the moment is to expand the amount of space Breather has on offer to meet the overwhelming demand. Critically, Smith points out that Breather’s target market is slightly different from that of competitors like Starbucks or HanaHaus. While coffee shops and cafes may be good places to work for an hour or two on your own or with a small group of people, when you want to really dig into a big project for a longer period of time with a larger group of people, you need a more spacious and private workplace. As such, Breather has seen a lot of business from start-ups or even bigger companies who need a quick, temporary expansion of office space to tackle a particular project. Thus, he sees places like Starbucks more as complements to his product than competitors. Indeed, the increasing variety of ‘third place’ locations available in the Bay Area can only be seen as a boon to companies and individual professionals. While no location is good for all purposes, the diversity of locations, each offering its own advantages and disadvantages, add up to create a whole which gives people here the flexibility to choose different settings for different types of interpersonal objectives.